Maca is a tubular like plant native to the Peruvians, where it has been valued by the local people for centuries. HealthAid Maca tablets provide all the refreshing goodness and benefits, made from best quality dried root powder derived from naturally cultivated Maca. 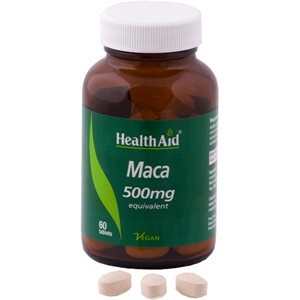 Thank you for your interest in HealthAid Maca 500mg Tablets 60's. Enter your email and we'll contact you as soon as it's available again.